The conferral of Red Scarf and Patag (sword) by His Majesty the King is a unique Bhutanese tradition of honoring and recognizing individuals for their most dedicated service to the nation. Only those who prove to be the best among the best (Dasho) in terms of their contributions to the country are privileged to receive the red scarf from His Majesty the King. The color of the scarf itself is associated with Buddhism as it resembles the robe worn by Lord Buddha and hence, it carries both spiritual and cultural values. As His Majesty the King has said while conferring red scarf to Dasho Karma Tshiteem, the Chairperson of RCSC during the National Day celebration last year, red scarf symbolizes the compassion of Buddha with which its wearer serves the society and the Patag represents strength with which its wearer protects the nation forever. It is a sacred symbol of honor and recognition. But although both red scarf and Patag are part of the regalia that symbolize recognition, they are slightly different when it comes to their actual significance. This would explain why some retired officials are still seen wearing their red scarf while their Patags have disappeared. The red scarf is purely a symbol of honor. Once you have earned it, it will remain with you for the rest of your life and even beyond. It brings you respect and love for your outstanding contributions to the nation and it’s a privilege that makes your family and community proud forever. It’s for this reason that officials who have been conferred a red scarf are allowed to wear it even after their retirement because they still carry the honor they had earned before. Although they are no longer active in the service of the nation, the society still respects them for their contributions. The name they have earned remains with them forever and so does their red scarf. On the other hand, Patag or the symbolic sword awarded to top bureaucrats and senior officials has a slightly different meaning. It primarily symbolizes authority and power. Since the swords were the main weapons used during wars and battles throughout our history, they have eventually become a symbol of power and victory in our society. Thus, the tradition of awarding top officials Patags as a symbol of their office and their responsibilities was born in our country. Today, our top bureaucrats no longer go to war and their Patags no longer serve as weapons, but they are given Patags as a symbol of power and leadership. It is for this reason that they have to surrender their Patags to the government once they retire from their positions since they no longer have the right to exercise their power. So the logic is simple: you lose authority after you resign from your position and hence, you cannot keep your Patag with you. But the honor continues to remain with you, and hence, you can continue to wear your red scarf. However, as His Majesty the King had declared, the Patags worn by our Members of Parliament (MPs) have a different meaning. They do not symbolize authority or power. His Majesty the King has given them Patags as a tool to remind them of their roles and responsibilities. 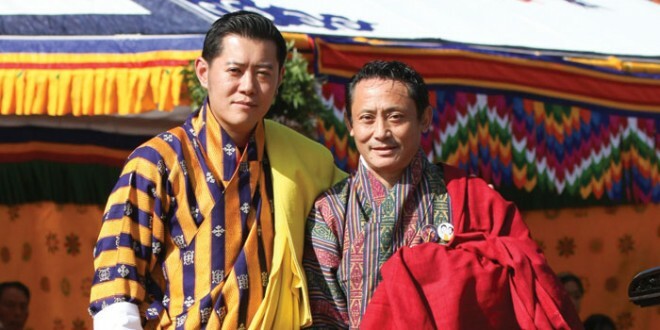 His Majesty has clearly said that the Patag does not give them extra power but it should remind them of their sacred duty to the nation as the elected representatives of the Bhutanese people. This is how the significance of red scarf and Patags differs from each other. This is certainly one piece of our culture that makes us a unique nation in the world. I had read an article on this subject while preparing for Civil Service Common Examinations in 2005 but I could never find it published anywhere on the web. So I just decided to share what I have learned and understood so that it might benefit those who have not yet noticed this difference.